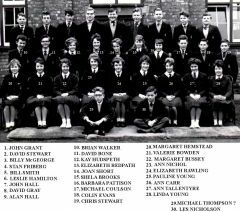 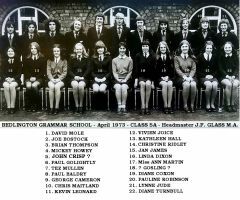 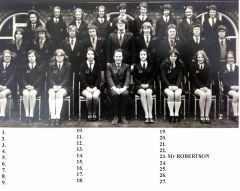 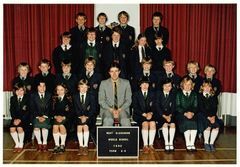 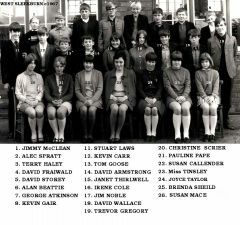 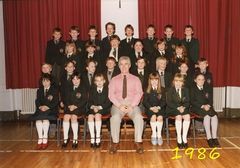 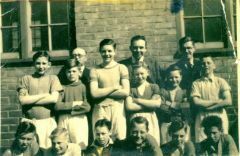 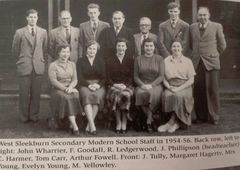 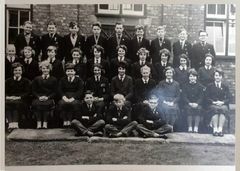 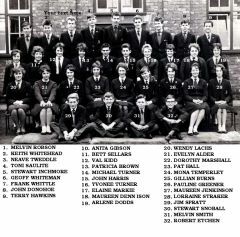 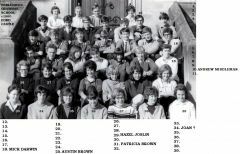 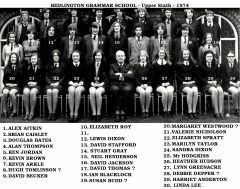 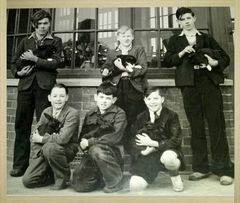 Bedlington Grammar School - Class 4B - 1961. 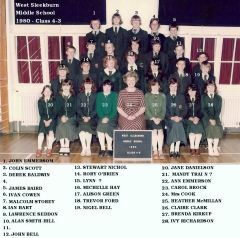 Photo from Mansel Dinnis (Ex BGS)- names from No 5 Bill Sharp. 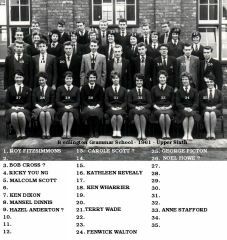 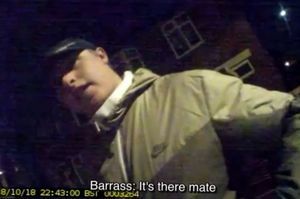 Names updated = No 1 added and No 25 changed. 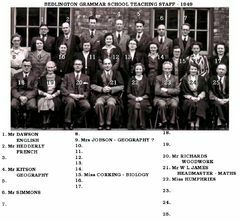 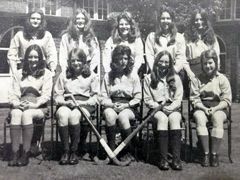 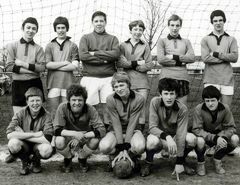 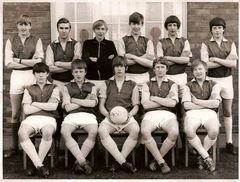 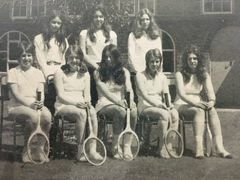 Teaching staff c1970. 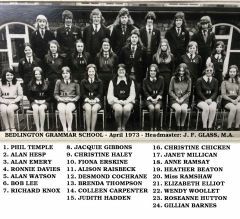 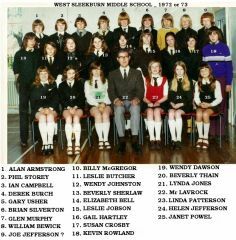 Names from the Facebook group Bygone Bedlington members. 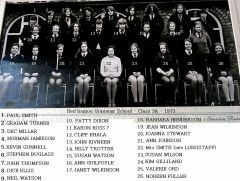 Some names from No 28 Lilyan Wilkinson nee Haley. 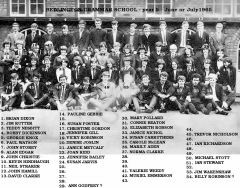 Names updated. 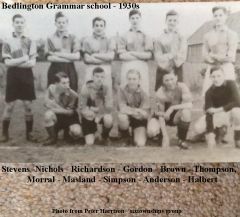 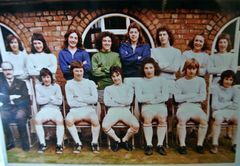 Posted the photo on the Barrington Facebook group and Michael Chumley Baker says No 2 is Ian Tyler and Alan Dickson & Brian Long say No 6 is one of the Tilmouth twins. 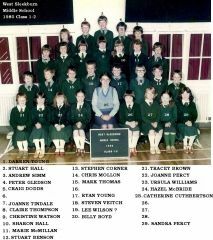 Photo and names from Brenda Bolland.